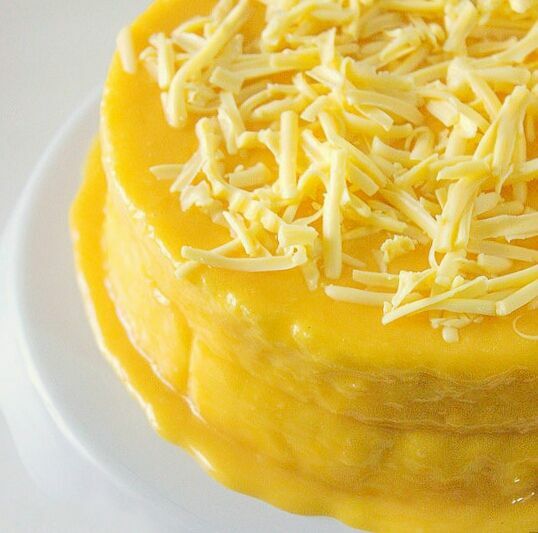 Here are some Yema cake recipes that you can do at home easily. Yema is used as a glaze in this mouth-watering yema cake recipe. 1) Fill the steamer with 1 liter of water and let it boil. 2) Dusting: lightly grease with butter or oil the cake pans and dust with flour. Set aside. 4) Mix water and powdered juice. Set aside. 5) In a separate bowl combine wet ingredients and sugar. 6) Mix until sugar dissolves. 7) Add half of the dry ingredients and mix on low speed. 8) Add the rest of the dry ingredients and mix well. 9) Pour cake batter into the cake pans. 10) Steam for 25 -30 minutes over low heat. Do not forget to wrap the lid with cotton cloth or cheese cloth to avoid water from dripping into the cake. 11) When the cake is done turn the heat off but do not take the cake out yet. Let it set for 10 minutes inside the steamer with the lid on. In this way the cake will not shink. 12) Cool cake in the pan for 5 minutes. 13) Unmold the cake and cool completely then it is ready for frosting. 14) Frost the cake and top with grated cheese. 1) In a pan just mix all the ingredients. 2) Mix well and cook until it gets thick over a low heat. 3) Stir constantly to avoid lumps. 4) When the mixture is already thick turn the heat off and let it cool. Set aside. 1. In a deep bowl, combine all purpose flour, baking powder and baking soda. Mix well. Then set aside. 2. In a separate bowl, combine wet ingredients starting with orange juice, evaporated milk, vanilla extract, cooking oil and water. Mix well. 3. Add sugar, mix well until sugar dissolves. 4. Add half of the flour mixture and mix until well combined. Then add the remaining flour mixture. Mix well and set aside. 5. Lightly grease mold or springform pan with butter or oil and dust with flour. 6. Pour cake batter into the pan. 7. Cover the pan with aluminum foil to avoid water from dripping into the cake. 8. Place into the steamer and steam for about 30 to 40 minutes. 9. While the cake is cooking let’s make the yema frosting. In a saucepan combine evaporated milk, condensed milk, egg yolks and vanilla extract. Mix well and cook on low medium heat. 10. Add cornstarch. Mix well. Stir constantly to avoid lumps. 11. When the yema mixture is already thick turn the heat off and let it cool. 12. When the cake is done, remove the cake from the steamer and let it cool. 13. Unmold the cake and cool completely before frosting. 14. Pour yema mixture on top of the cake and spread evenly until it covered the whole cake. 15. Cover with grated cheese on top and on the side. 16. Chill for at least two hours before serving.